On this show, Andrea Bishop shows host, Pokey Bolton, two ideas for manipulating images to print on printable fabric and use on quilts. 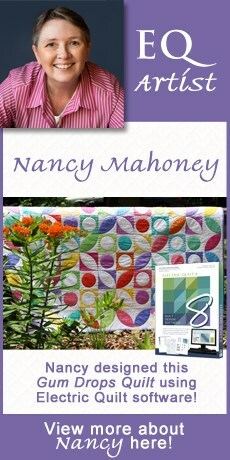 In this episode, Pokey Bolton and Andrea Bishop talk about a quick memory quilt idea. Andrea shows how to do some basic color correction and photo manipulation within EQ7 to prepare images for printing on fabric. 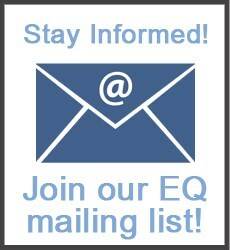 You’ll never run out of EQ7 activations! Activation and deactivation is as easy as two clicks of the mouse. Install on as many computers as you like and quickly transfer activations from computer to computer. This new policy gives you complete freedom to manage your own activations — and no dongle to worry about! Watch this video to see just how easy this is. See how quick and easy it is to scan your own fabric and use it in your quilt design! Set blocks in your quilt layout by dragging them from the palette and dropping them on your quilt. They snap into place using the Custom Set Grid. Sort your blocks palette by dragging the blocks in the palette to rearrange. Use the Serendipity feature to create new blocks without actually drawing them! It’s so easy! Instantly create beautiful kaleidoscopes and fancy stars. Merge two blocks together, or simply tilt your block at any angle. Use your photos to create beautiful kaleidoscope-like symmetries to use in your quilt or craft project. You’ll be amazed by the results you get! Have fun playing around with different photos and petal styles. The Eyedropper tool is now more than just a fabric finder! Use this tool to find fabrics and colors used in your quilt. Click inside a photo to find a fabric that matches the photo. And best yet, click on a block in your quilt — the eyedropper will find the block for your in the palette!